Do you feel an intimate connection with our closest celestial companion? Perhaps you imagine it casting its magic over you in the deep quiet of the night. Or you’ve notice changes within you, in step with the moon waxing and waning through its monthly cycle. The beauty of the moon at all its phases is awe inspiring. When it reaches its fullness, its energy is magnified. And it radiates powerful feminine lunar energy, creating the perfect time for you to release and heal. Connect with yourself, and to the energy around you. When you move in harmony with the cycles of nature, you become more aware of your own rhythms. This awareness brings greater understanding as you navigate the ups and downs along your path with more ease and grace. Each month at the full moon, Katie hosts a virtual gathering. You can join in from anywhere in the world, from the comfort of your home. We begin with a relaxed discussion about the energy at play and healing aspects of the particular moon, followed by a guided meditation to facilitate healing and transformation. It is a beautiful, warm and nurturing way to honour the full moon and create time and space for your own self discovery and growth. You can purchase an audio recording of the meditation here. 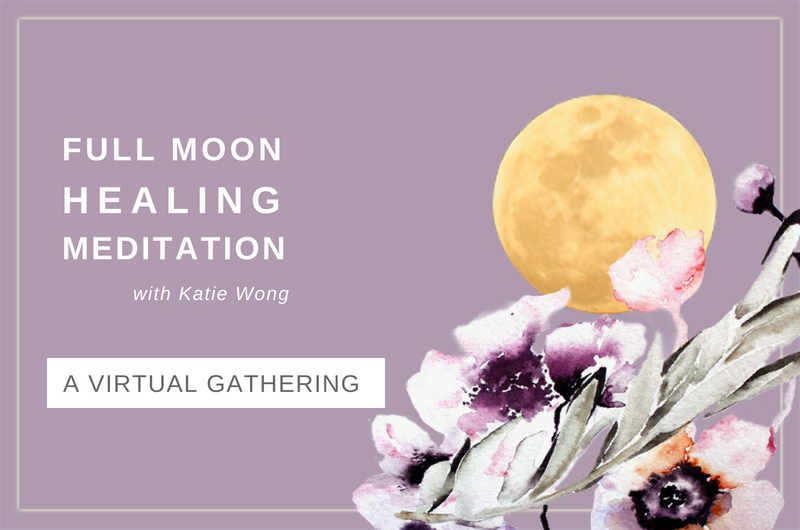 Join Katie live each month at each full moon in a curated discussion and guided meditation to facilitate release and healing. Receive an audio recording of the full moon healing meditation, to listen to through the month or if you are unable to join the live session. Feel connected with like-hearted others coming together with the same intention, wherever you are on your journey. What does joining the circle involve? Each circle will open with a brief chat about the energy at play under the full moon, before we move into the guided healing meditation. Each will be unique as I am guided by the group and what’s needed at the time. After that, we will have a chat about your experience, and you are invited to share as much or as little as you’d like. 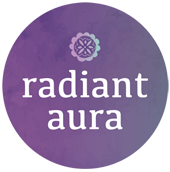 It is a safe and nurturing space I hold for each participant, ensuring you receive what you need. What are the benefits of the circles? It’s about carving out time and space for yourself. Each circle takes place close to the full moon, and we are able to harness the energy at this time. Our ancient mothers gathered during each full moon to honour this phase of the lunar cycle, also in sync with their personal cycles. And much can be gained simply by being with like minded others during this time. Each month, we gather and share in our journey, knowing we are not alone. And that we are eternally supported. The guided meditation is gentle and healing, and you are led to where you need to go. You may feel the energy intensely, or not at all. You may also feel emotional or blissful and peaceful. Whatever your experience is guided by your higher intelligence and exactly what is needed for your highest good. I have registered to attend but am now unable to dial in at the scheduled time, do you offer refunds? I am unable to offer you a refund, though you are welcome to invite someone else to attend in your place, or as you will be receiving the recording you can listen to it at your leisure. Alternatively I can transfer you to the next circle. I don't live in Australia, can I still attend the circles? Yes! The circles are hosted via an online platform. So you can dial in from anywhere in the world, from the comfort of your home. The dates and times listed for the circles are in Australian Eastern Standard Times (AEST), and you can check here for your local time. I will do my best to plan each circle at a time that is suitable for the majority of the group. But sometimes, that’s not possible. Even if you are unable to dial into a live session, it will be recorded and you can access the audio recording if you have registered to attend. What is the membership for? The membership allows attendance at each circle at a discounted rate. You can choose between a 6-month and 12-month membership, which will give you access to 6 or 12 circles respectively. You will also receive access to the audio recording of each session, so if you are unable to dial into any of the live sessions, you are able to listen to it at your own leisure.